Truss construction is probably the most common type of roof framing used in building today's homes. There are a number of reasons for this trend but the number one reason is the distance a roof truss can span without center support. The advantage of roof trusses being able to span large distances, has opened up new home design possibility's. 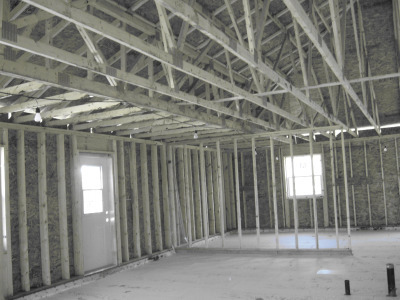 Before the popularity of truss construction, homes were designed with a center load bearing partition .This was necessary to support the ceiling joist. With roof trusses being able to span larger distances , many homes today are designed with larger rooms and with a much more open concept, where kitchens, dining rooms and family or living rooms, all flow together. 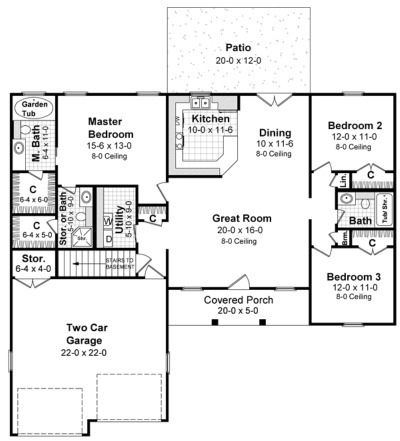 In the floor plan above ,the roof trusses span 35 ft. across bedroom 2 and 3 and 30ft. across the great room,kitchen and dining room. 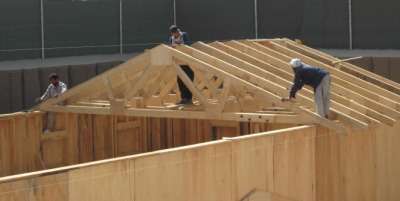 The use of smaller dimension lumber and the speed of installation are two more advantages of roof trusses. When the the trusses are in place, you have eliminated the need for ceiling joist. The bottom core of the truss becomes the ceiling support to which the 1x4 strapping are attached. This in itself is a time saving advantage. Trusses are built in a factory and then delivered to your site and placed in position. Roof trusses can be built to practically any roof configuration. Sometimes hand framing may be required ,such as around stairways and openings that extend into the attic area. 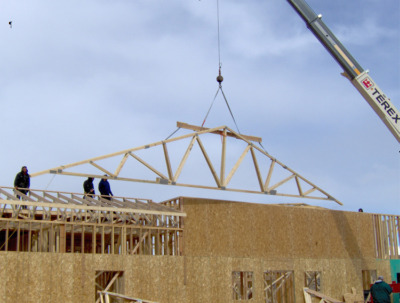 On an average size home, roof trusses can be put in place with three or four people but on larger homes where trusses may be heaver ,a crane or boom truck may be required. If time is not a factor, and you are up for the challenge, it is possible to build your own roof trusses. 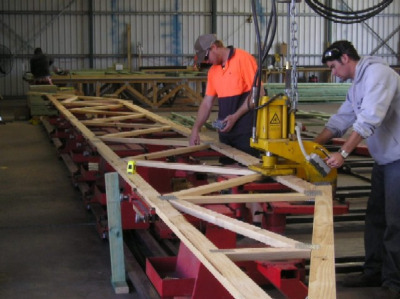 Roof trusses are built to exact specifications and should be designed by a qualified person. There are many quality sites on the internet that can supply you with design information on trusses. 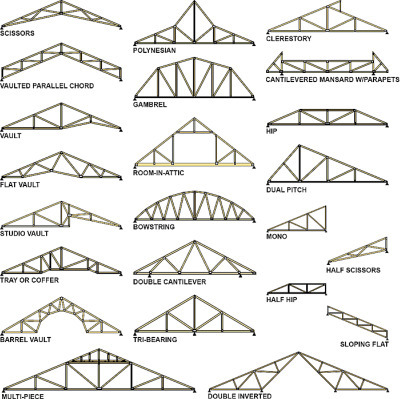 Here are some of the truss styles available. Follow the links below for more information on home building.